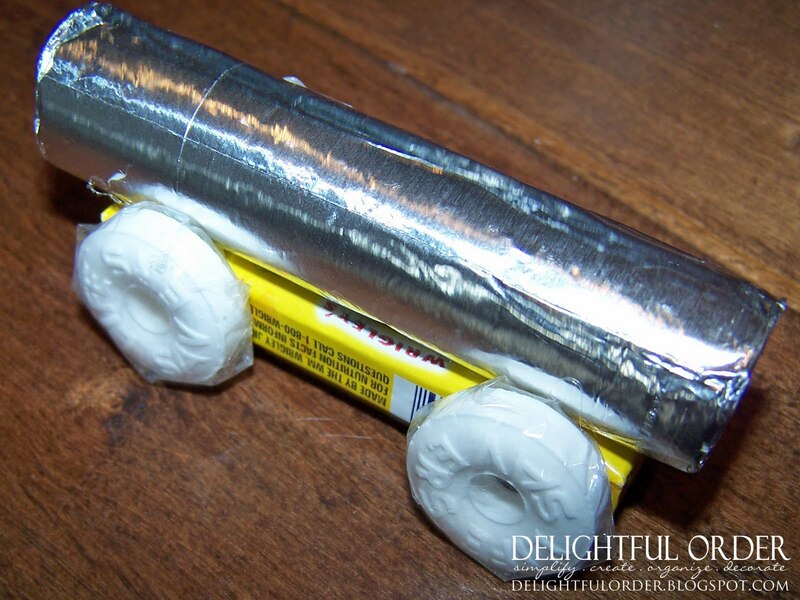 My niece and I made these candy trains as party favors for my son's TRAIN theme birthday party. 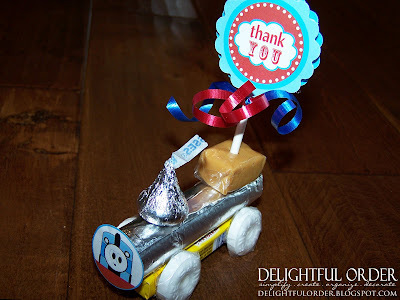 I've already shared my train party printables and more of his birthday party with you. If you missed that post, view it HERE. Today I'm showing you the step by step on making the candy trains. They're actually pretty easy to make. 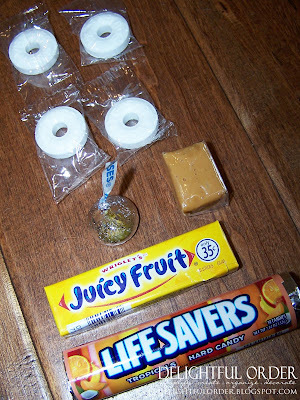 Begin with a hot-glue gun, a pack of lifesavers, a pack of gum, a hershey's kiss, a caramel and 4 individually wrapped wintergreen mints (starlight mints are adorable for the wheels too.) These trains were for the wee little ones and I didn't want to use a choking hazard candy, so I chose the lifesaver mints. 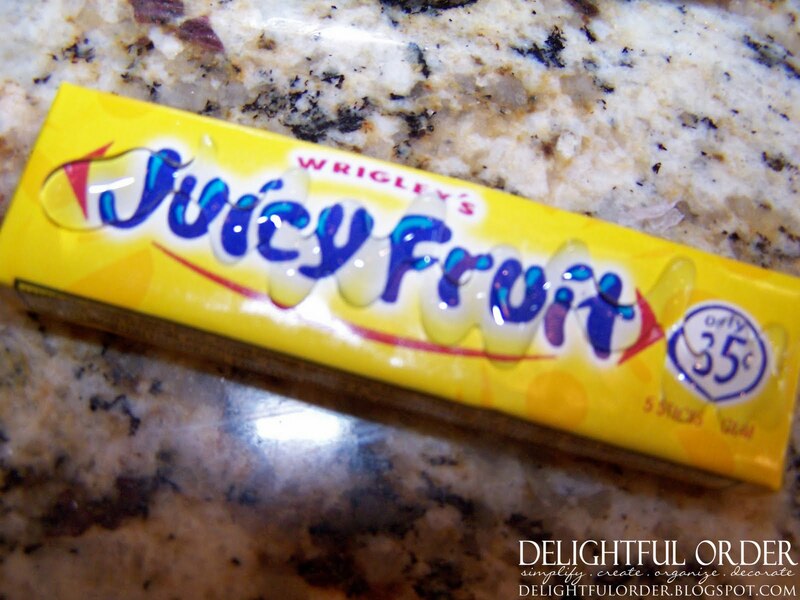 Add some hot-glue to the package of gum. Set the lifesaver pack on top of it. 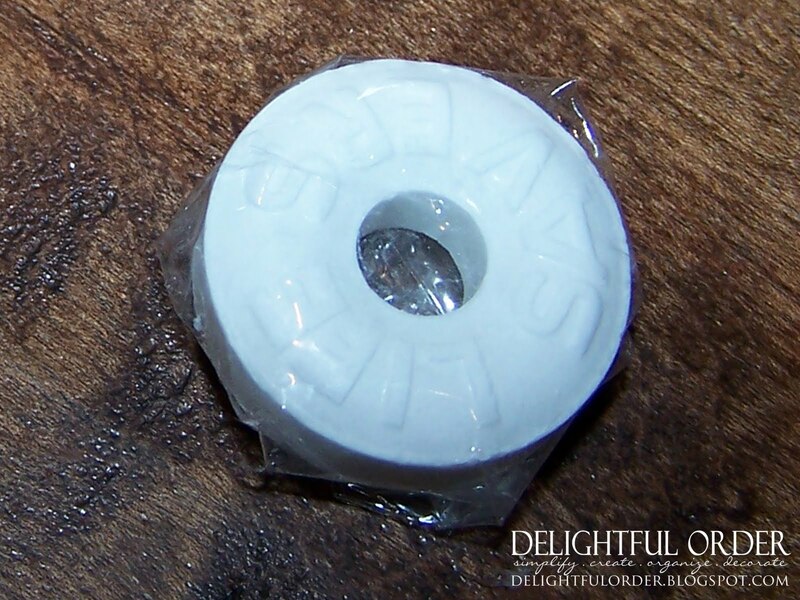 I chose to take the wrapping off the lifesavers, because I liked the silvery look. I folded the corners of the individually wrapped lifesavers and hot-glued them on the back side. 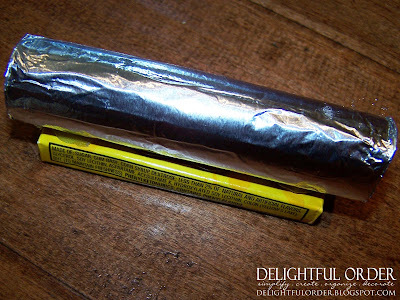 Hot-glue the hershey kiss and the caramel to the top and finish it however you want. I used my printable party circle tags (which are a part of the train package, in my shop) and attached the thank you to a lollipop stick and stuck it through the caramel. CLICK HERE to learn how-to create with my party circle tags. Using the same circle tags, I cut the train face out and hot-glued it to the front of the train. These are super easy and fun to make and you get an adorable thank you gift for any party. Cute! I wish I had boys but doing it as a stocking stuffer is a great idea! Thanks for sharing! That is adorable! How crafty, but simple to do!